If one of us was unhappy with the way we hit the baseball or if we dropped the football we would yell “Do over!” Do you remember that as a kid? For crying out loud, we do that now as adults. Except, today we call it a mulligan in golf or we hit the reset button on our phones or we erase a sentence on our computer. How about some extreme examples: Divorce and re-marriage, plastic surgery, mid-life crisis or a career change. We are not kids any more but we do the same thing, it is just more drastic. 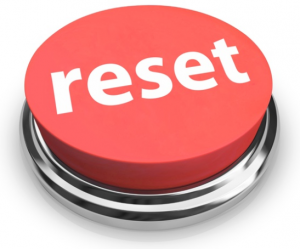 I recently made the choice to hit the reset button in my life. I’m not getting any younger so I knew if I wanted to make a change now was the time. I had worked in a corporate environment for half of my adult life. I enjoyed what I did, for the most part. I learned a lot about business…how to manage people, building relationships, how to run a business…that kind of thing. Over the course of a few years my priorities began to shift. It was no longer about climbing the corporate ladder, making as much money as possible or position and a title. 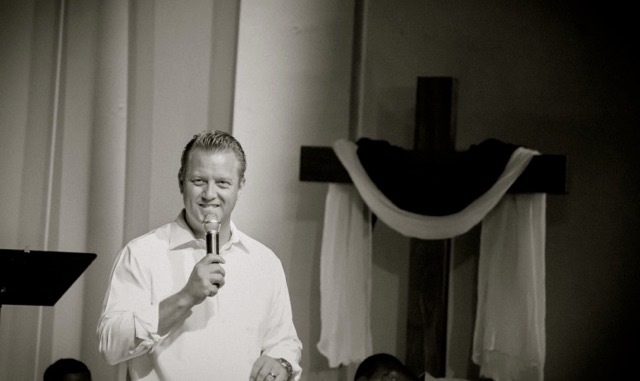 I had been in leadership roles most of my life and that gift had begun to form into other passions. It became more about people and using my business skills in a different kind of environment. In ministry of some sort, to be exact. Hitting the reset button isn’t always as easy as just deciding to make a career change. In my case, I didn’t have another job to run to. After a ton of prayer, and I mean a ton, I decided to leave my job to endeavor on this new journey. No safety net, no income, just faith. I’m certainly not suggesting you run right out and do this. It isn’t for everyone, that’s for sure. And it isn’t about being lazy; it is about being passionate about something. It’s about living your dream and using the gifts God gave you however He wants you to use them. Even if it is for a brief time…for a reset period if you will. This entry was posted in Career, Christian Living, Life, Passion and tagged choices, Christian Living, do over, Family, Inspiration, Life, life choices, Living your dream, Passion. Bookmark the permalink. I’m glad I discovered this post. Emailed it to myself to read down the road from my desktop. Will try for connecting with you on Facebook then too. Sometimes, the most effective posts are not the most popular, but this is great in my own book.